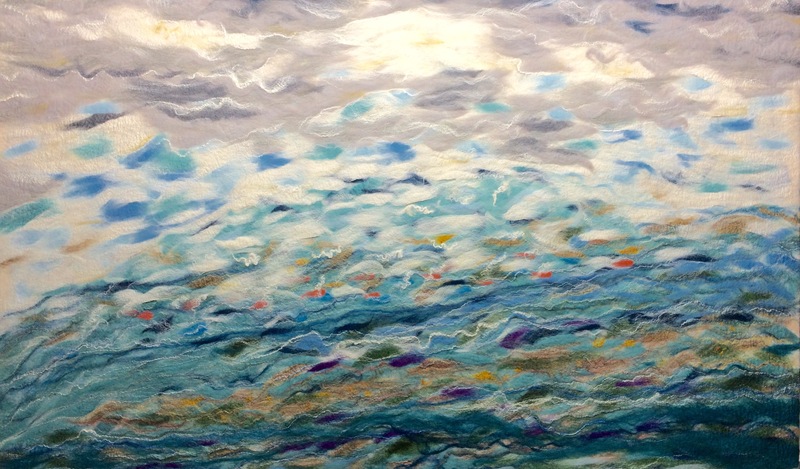 “Sea Marries Sky” is what I titled this wall hanging (6’x 3’9″). There is a depth and calm to the ocean yet a lot of movement as well. I included suggestions of animal life and fish movement where the sea merges with the sky. I am delivering this tapestry today and hopefully my client will be as pleased with it as I am. If not, I will make her a new one and keep this one, or sell it to another party.